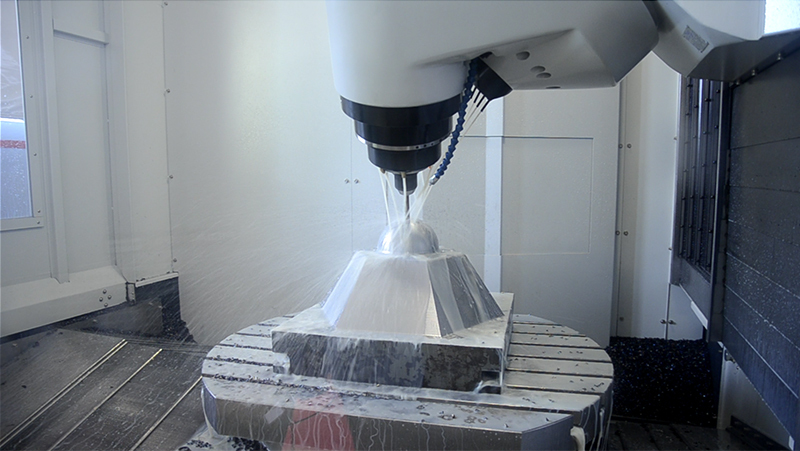 3 separate castings morphology grant outstanding accuracy and high performances in any milling condition. 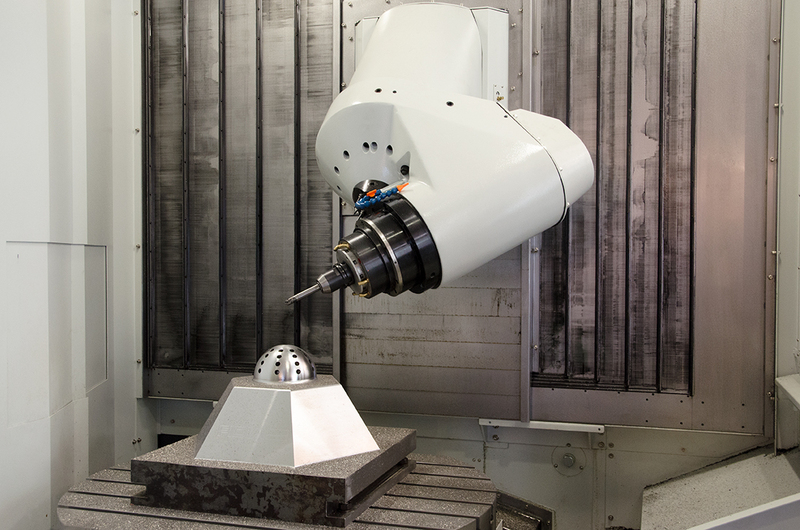 5-axis interpolation in combination with the rotary table allow 5-side machining of complex components, in a single, easy set-up. 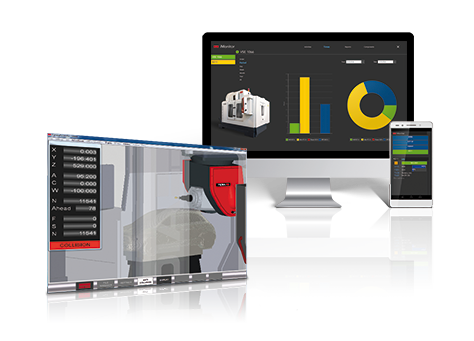 UHE have the most efficient structure for multi-sided high performance machining, increase of productivity, flexibility and repeatability. 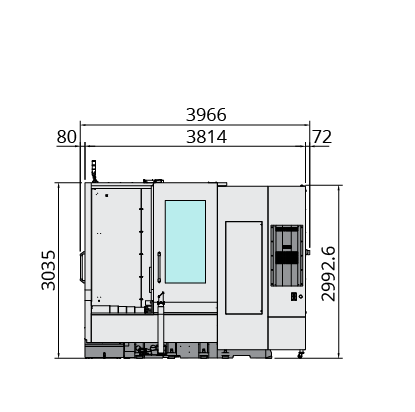 Sliding front and side doors with a super wide opening for any easy load-download of parts. The most advanced FEM technology has been utilized to design an extremely rigid casting frame. 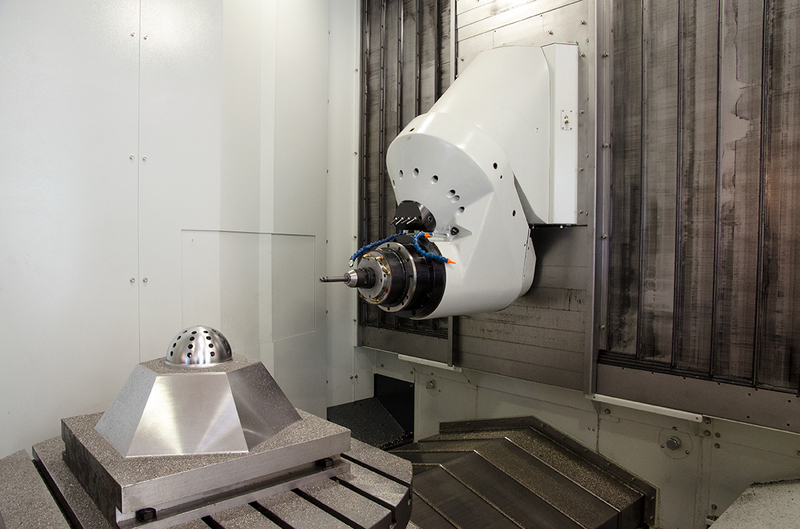 The machine is composed by 3 separate casting parts: machine bed, X axis column and spindle headstock. 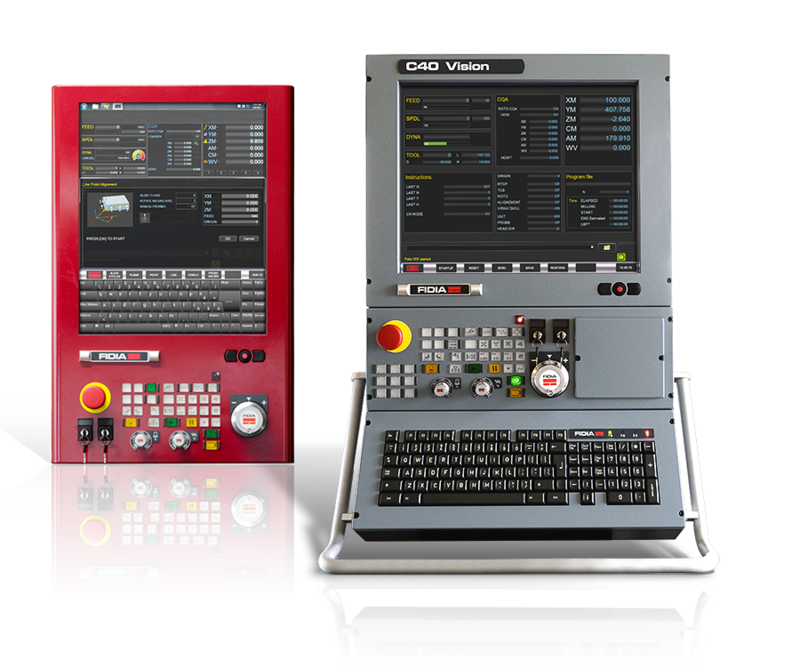 High-end standard equipment guarantee both outstanding accuracy and high performances of the machine. 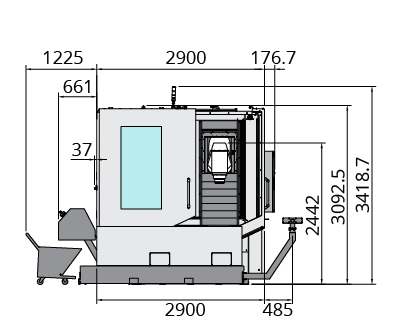 High precision linear scales on 3 linear axis X Y & Z. 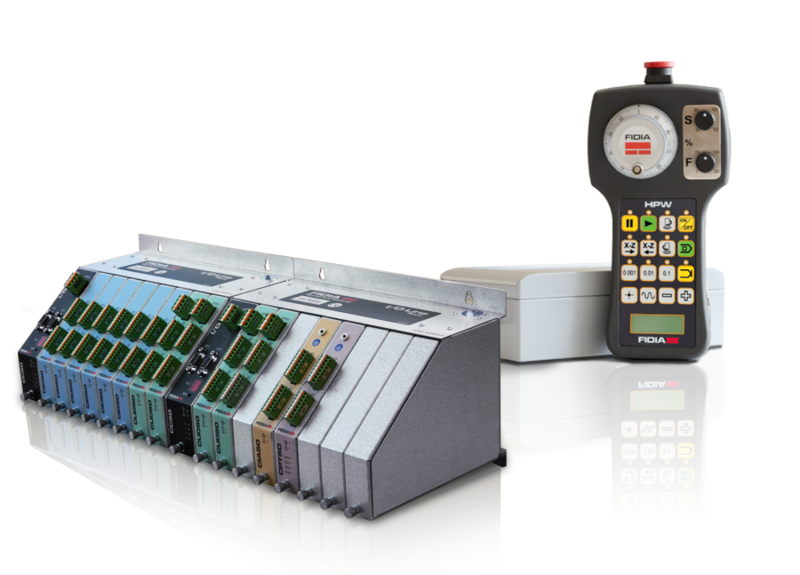 High precision direct rotary encoders for the B & C axis. 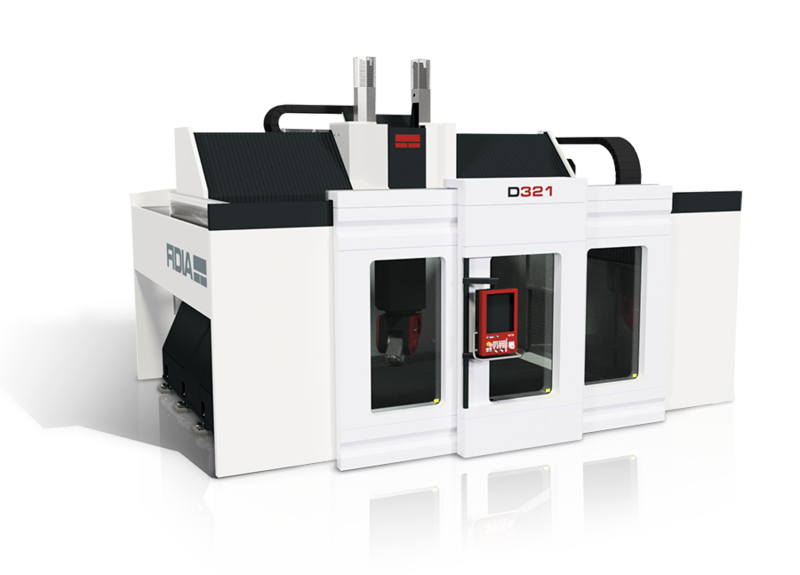 High precision Φ50mm ballscrews on 3 axis are directly coupled to powerful AC servo motors to provide the utmost results in high speed cutting with best finishing quality. 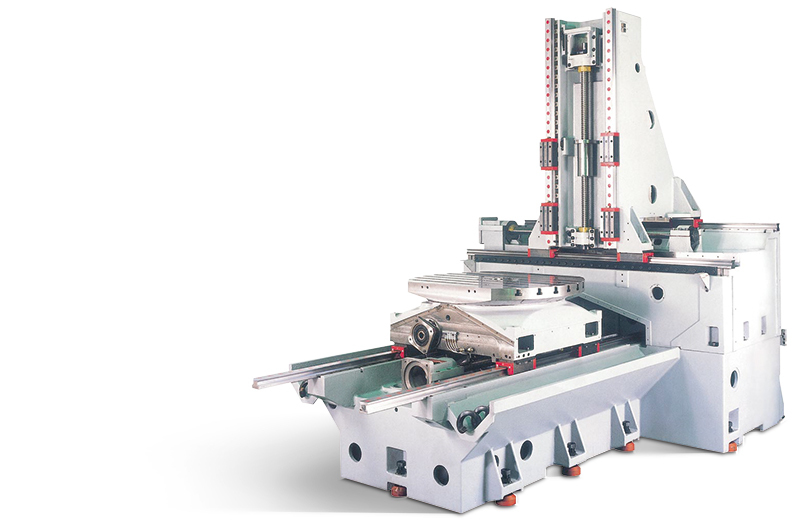 Highly rigid - heavy duty roller type linear guideways, provide low starting inertia, low friction, high acceleration rates and optimize machine response in high speed cutting. The one piece casting ladder bed has been designed to increase column resistance and rigidity. 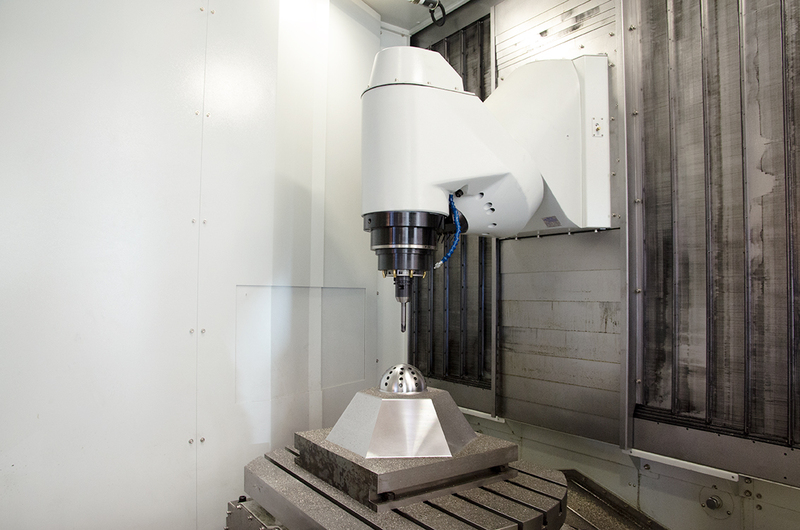 The latest technology torque motor manages the B axis continuous swivel milling head and guarantees maximum dynamic and linearity: the absence of traditional mechanical transmission allows much higher quality of surface finishing. 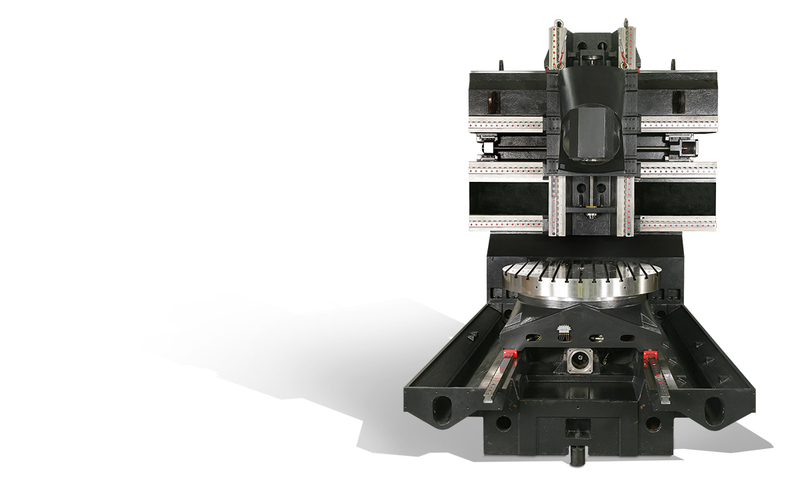 The reading system with a direct angular encoder, grants precision and reliability. Suitable clamping torque is grant by an hydraulic brake system. 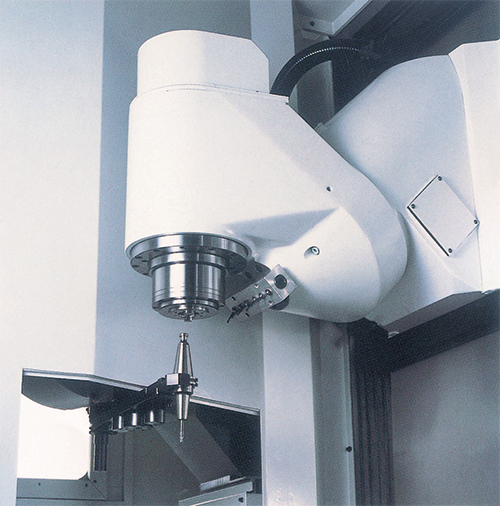 The table incorporates a standard 1000 x 800mm clamping plate and is driven by AC Servomotor. 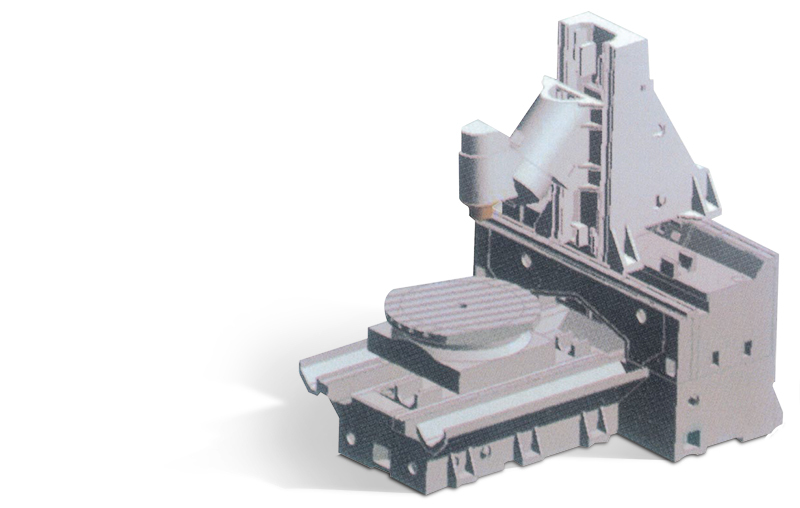 It can be indexed 0.001° by an high precision worm gear and high precision direct rotary encoder. 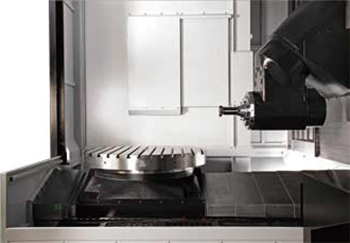 Clamping torque over 4.000 Nm is grant by an hydraulic brake system. 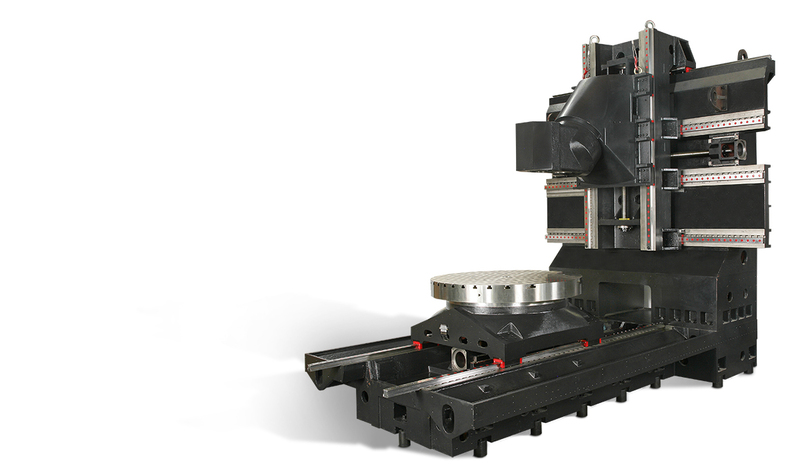 The very wide distance, 700mm between spindle center and X axis slideway cover, gives the operator a great convenience for different workpiece setup. 40 positions chain type with a double swing arm ATC is a standard. Optional is a 52 position version. 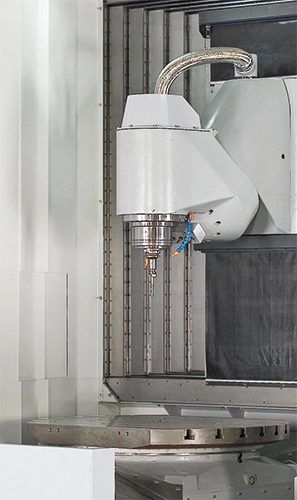 Latest innovation in combination of both bridge type machine and travelling column type machine for heavy duty 5 axis simultaneus machining. The most advanced FEM technology has been utilized to designed an extremely rigid casting frame. Highly rigid - heavy duty roller type linear guideways, provide low starting inertia, low friction, high acceleration rates and optimize machine rigidity and dynamics. 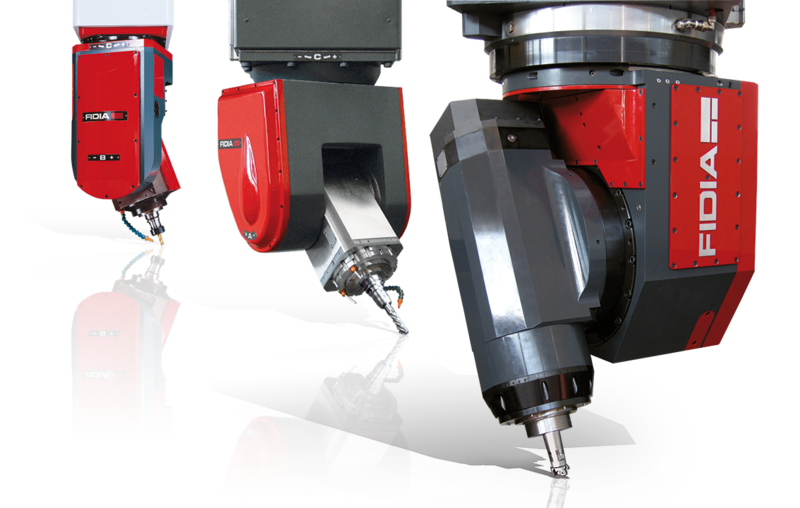 High precision ballscrews on 3 axis are directly coupled to powerful AC servo motors to provide the utmost results in high speed cutting with best finishing quality. 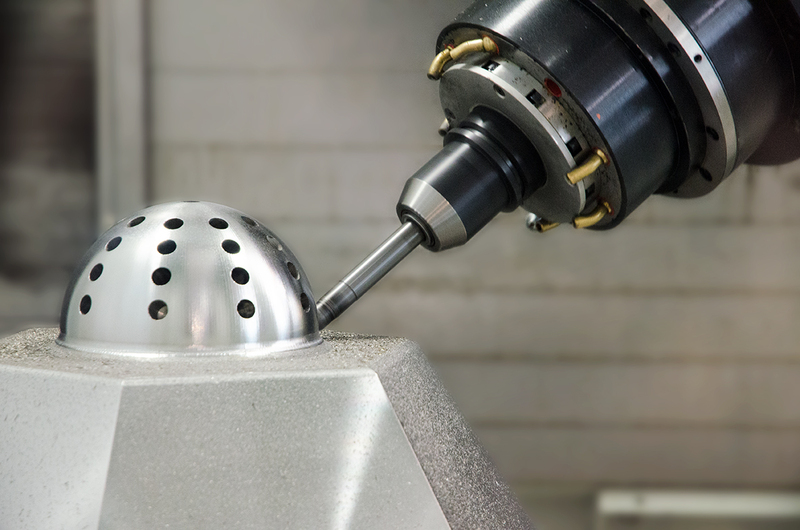 The extreme rigidity and precision of the machine allow high speed milling machining. 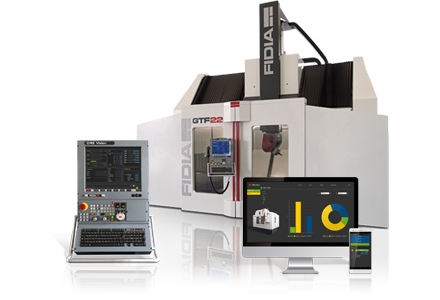 The Fidia CNC and Fidia Digital Drives provide the best milling results on the machine tool, optimizing speed accuracy and best quality surface, by using advanced feed and acceleration smooth dynamics algorithms, thus preserving mechanical component life.